To Let: Short or Long term Lease. Shop/office Ground Floor unit with large room area to front, rear room with small kitchen area and separate toilet. There are various rooms upstairs that could be used for storage or depending on the business could be used for additional commercial shop/office space. Outside: enclosed yard space. 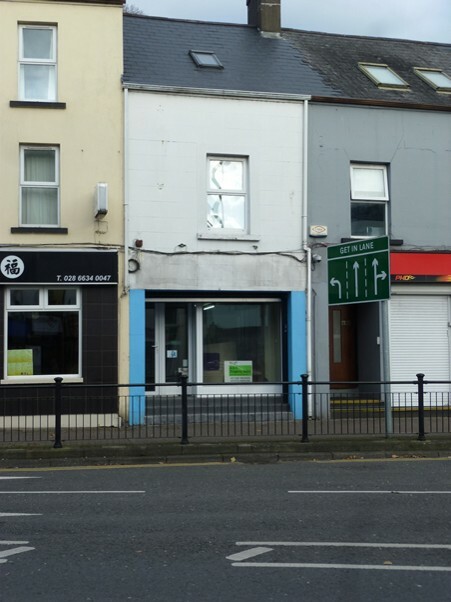 This commercial is located on the East side of Enniskillen town, suitable for a variety of trades or businesses. Suitable for professional use as a hair salon, Beauty, Coffee Shop, office, shop etc. To Let: A well Presented 3 Bedroom detached bungalow with detached garage. Countryside Setting. Approximately 5 miles from Kesh village, 7 miles to Irvinestown, 17 miles to Enniskillen, 21 miles to Omagh, 23 miles to County Donegal, beaches etc. Ample parking. Living Room: Open fireplace with back boiler. Kitchen/Dining area: Integrated oven, 5 ring gas hob, integrated fridge. Stanley Cooker. Utility Room: washing machine and dryer. Bathroom: Sink unit, toilet and wet room shower area with electric shower. Private tenants only. No Dogs. To Let: 4 Bedroom detached 1 1/2 storey bungalow, situated on a quiet residential development, within walking distance of Lisnaskea Town Centre. Kitchen: integrated oven and hob. Utility: Washing machine & tumble dryer. Living Room: Open fireplace. Bathroom: Separate shower, bath, sink and toilet. 2 downstairs bedrooms, the 2 upstairs bedrooms have ensuites. Gardens to front and rear. The property is located just a convenient distance from the villages of Maguiresbridge, Brookeborough, Newtownbutler, approximately 12 miles to Enniskillen, 12 miles to Fivemiletown, 18 miles to Co Cavan. Pay as you go electric meter and oil fired central heating. Strictly no dogs.